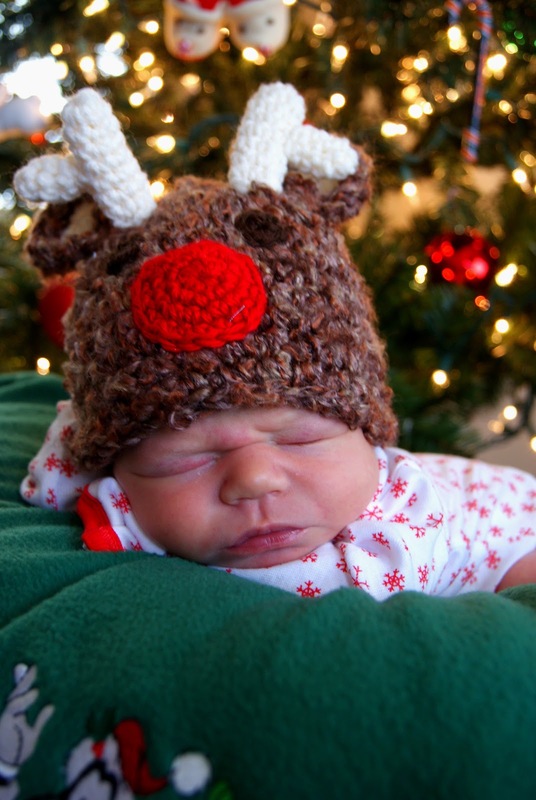 With a new baby and new home, I wanted this Christmas to be as festive as possible! Even though I know Maisy won’t remember her first Christmas, I don’t want to look back on photos and videos and see a house that wasn’t decorated, or feel like my family was neglected because Momma was too exhausted to get it done. I started some decorating crafts as early as November to ensure I had as little to do as possible when my little one decided to arrive. I wanted all my attention on getting into the swing of things and little on my obsession with Hobby Lobby. 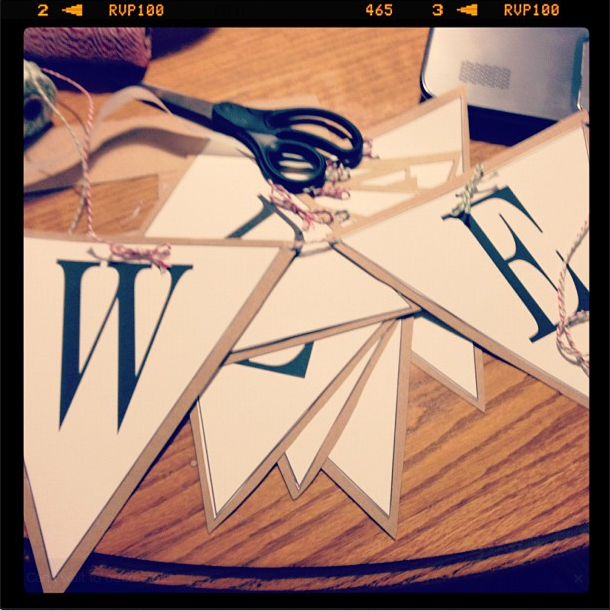 So here are some quick and easy Holiday crafts! One of the first projects I tackled cost me roughly 10 dollars. I made treat jars to hold various gifts for family members. 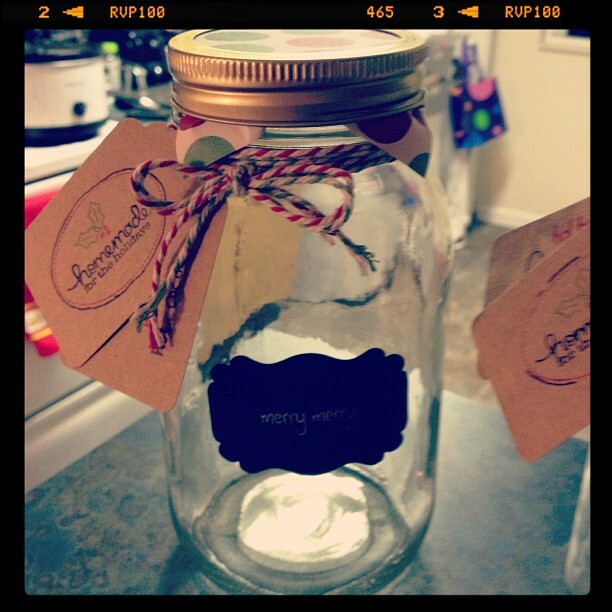 I used simple Mason jars, brown craft paper, chalkboard paper, scrapbook paper, stamps and some bakers’ twine. While it seems like a lot, if you’re an avid crafter like me, I’m sure substitutions are beyond available and at your disposal. Using two different craft paper punches, I made the labels. First the brown craft paper tags and then the chalkboard label for the front. I Modge-Podged the chalkboard label on the flat sides of the mason jars after stamping a little “merry merry” on the front in white ink. I tied the two labels (one with gift tags and the other with preparing instructions) onto the jar with red and green baker’s twine and put a square of scrapbooking paper under the label for a cute effect. I filled one with some pre-made hot cocoa mix, some crushed peppermints, and some holiday themed marshmallows. I called the concoction “Ho Ho Ho Hot Cocoa”! I’m sure the family will love it! Apartment living, while economical, means smaller spaces to decorate. And, the sad reality that we will not have a fireplace to dress up–or to hang stockings from. I had seen pictures of people hanging stockings from window sills or even TV units, but I didn’t want our stockings to hang from there, I wanted them to be up somewhere where we could easily take them down. For this craft all I needed was a blank canvas, red craft paint, and white puffy paint. Now it’s on my list to Santa, but I don’t have a CrickCut or Silhouette Machine (which would make this project significantly easier!) so I made due without one and still didn’t break the bank! 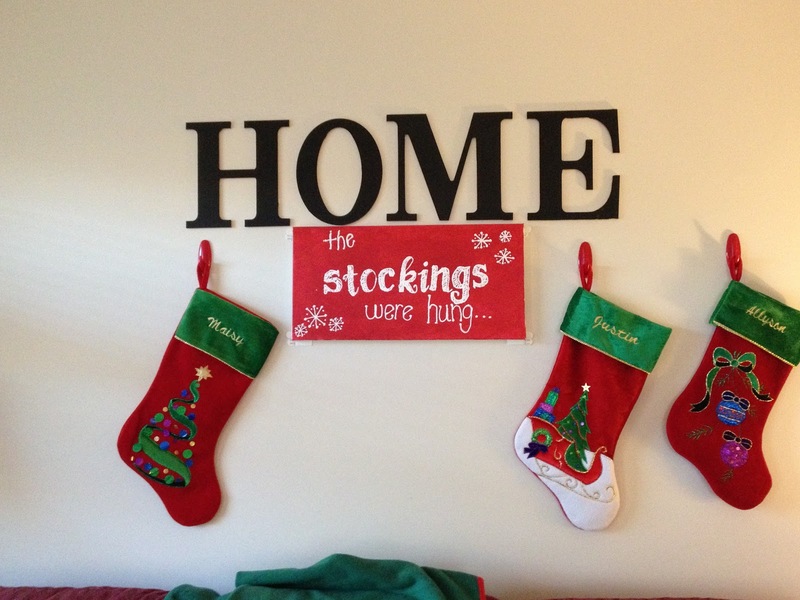 I printed off the word “Stockings” on some sturdy cardstock and then cut out each letter to be a stencil. I painted the entire canvas in red craft paint–this color is called “Santa Red”–and then I traced each word with white puffy paint. I hung red Command hooks on either side of the sign and before you can shout “Merry Christmas to All!” you have a make shift mantel. Have you ever seen Miracle on 34th Street? The 1994 version is a family favorite. We watch it every Thanksgiving to welcome in the holiday season! 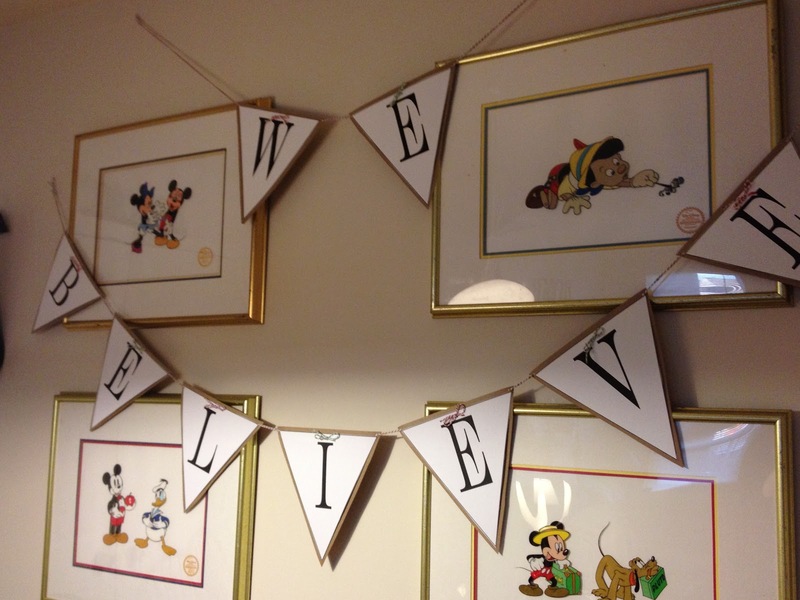 Any way, there is a beautiful scene where the president of Cole’s asks a TV audience if they believe in Santa Claus to which there is a montage of lots of people posting their “I Believe” banners. Santa Claus is the spirit of the season, so of course I couldn’t resist the opportunity to make this sweet banner. I printed off the letters I needed onto some sturdy white cardstock paper. Once they were printed, I cut out each one and glued it to brown craft paper. I laced each letter together with red and green baker’s twine and cut small strips for the little bows over each letter! The final product turned out great and hangs just over our dining room table! Since we live in an upstairs apartment, I wanted our entryway to be just as festive as the main floor. Just print and hang, how easy is that?! 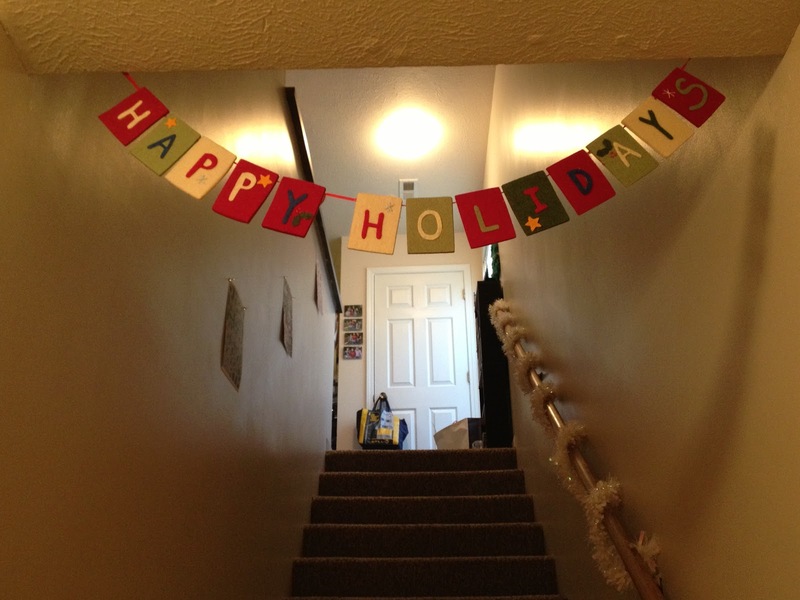 I wrapped some 99 cent garland around the handrail and hung up our Merry Christmas sign from the dollar section at Target for the perfect season’s greeting! So there you have it! 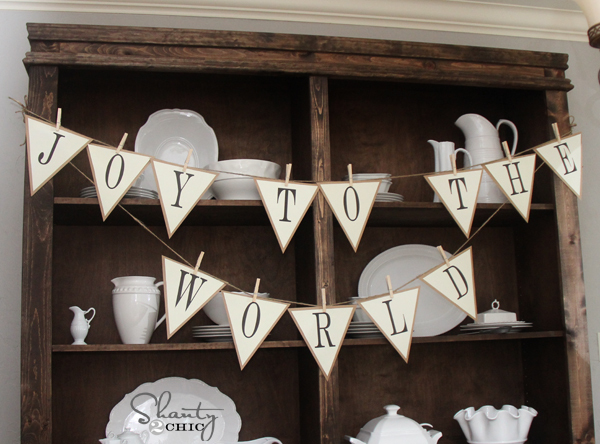 A few easy crafting ideas to many your season bright! What holiday crafts do you like to make this season? Let me know in the comments! Want to see other great decorating ideas for the Holidays? Follow my Winter Wonderland board on Pinterest!